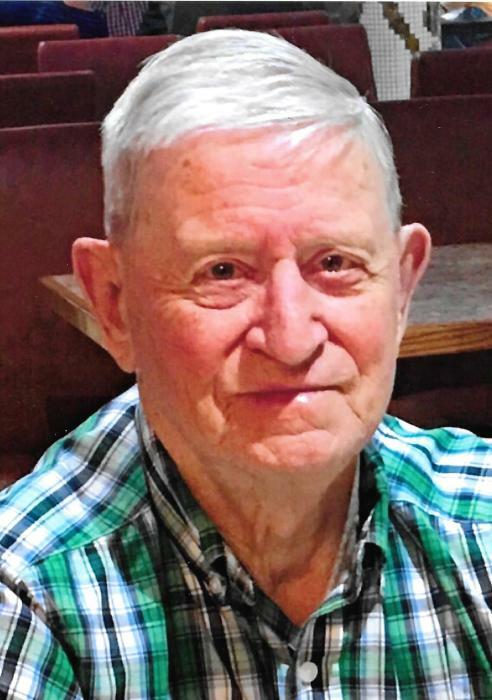 Garland L. “Mac” McVey, 95, of Waynesboro, passed away Monday evening, April 1, 2019 at his home. He was born December 2, 1923 in Meadowview, Virginia, the son of the late Pruner McVey and Blanche Barlow McVey. Mac was a Real Estate Entrepreneur, he was retired from Morton’s Frozen Foods and was a member of the Morton’s Frozen Foods Teamsters Union. 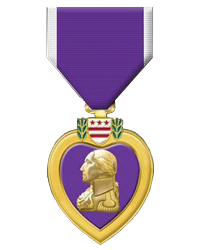 He was a World War II Army veteran and was the recipient of two Purple Hearts, the European African Middle Eastern Theatre Medal, the Good Conduct Medal and the Distinguished Unit Badge. The family would like to express special thanks to RMH Hospice, the VA Service at the Staunton CBOC, Rhonda Weinhold, Kayla Mullins, Dr. Stacy Reeder, Leslie Smith, Mary Staton, George and April Gonzalez, JoAnne McMillan, Betty Lowery and The Honorable Paul Dryer. In addition to his parents, he was preceded in death by his wife, Elizabeth Simmons McVey, his son Gary Andrew McVey, his daughter, Bonnie Sue McVey Chambers and six brothers and four sisters. He is survived by his children, Connie Templeton of Sierra Vista, Arizona, Jackie McVey and wife, Melissa of Waynesboro, John “Mike” McVey and wife Holly of Mount Solon, Daniel “Dan” McVey and wife, Cherry of the Philippines, Frank Wilson and wife, Betty of Elkton, Keith “K.C.” O’Hanlon and Tracey Mimms of Waynesboro and Ellen O’Hanlon and Ron Cooke of Waynesboro; twenty-one grandchildren, twenty-five great-grandchildren and four great-great-grandchildren; two sisters, Frances Parris of Lebanon and Louise DeBusk of Meadowview and a number of nieces, nephews and cousins. Graveside services, with Military Honors, will be conducted at 10:00am, Thursday, April 4, 2019 at Riverview Cemetery, Waynesboro. Family and friends will assemble at the cemetery for the service. The family will receive friends at his residence immediately following the service. In lieu of flowers the family suggests contributions to The Mosby Foundation, P. O. Box 218, Deerfield, VA 24432; web site, www.themosbyfoundation.org; phone 540-885-2260. View full obituary and share memories and condolences at www.charltonandgroomefuneralhome.com.